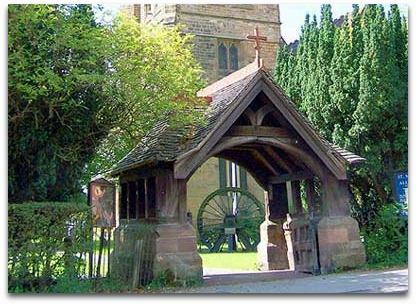 Eastwood is a small town in Nottinghamshire in the UK. Coal has been mined in the area for nearly 700 years. The monks of Beauvale Priory held rights to coal mining and there may have been shallow workings dating back to Roman times, indeed within a mile of the Brinsley headstocks more than 100 shafts have been sunk in the last 200 years alone. Deep mining came to an end in 1985 with the closure of Moorgreen, Pye Hill and Underwood. For many centuries, the Erewash Valley was worked as an 'outcrop' where coal could be lifted from the surface of the ground. The original Pye Hill colliery at Pye Hill, Jacksdale was sited in an 'exposed' section of the Nottinghamshire coalfield, which made outcropping possible. Gradually outcrops gave way to 'bell pits' which were holes dug down into the ground and hollowed out in the shape of a bell. (i) Pye Hill, (ii) Selston/Underwood, and (iii) New Selston (The Bull and Butcher). The original Pye Hill pit was sunk at Jacksdale, but was later known as Pye Hill No 2, when the nearby Selston/Underwood Colliery became known as Pye Hill No 1. The No. 1 (downcast) shaft at Pye Hill No 2 (Jacksdale) was sunk in 1874 by James Oakes & Co. The shaft known as No 2, was probably actually sunk before No 1, in 1866. UNDERWOOD COLLIERY (Memorial) The Selston (or Underwood) pit also went back centuries, being taken over in 1728 by Barber Walker & Co when it was probably just an opencast or outcropping site. Barber Walker sank a real vertical mine shaft there in 1831. It was included in the 1842 Children's Employment Commission. The pit at Underwood was 140 yards deep. Workers were let down and up, four at a time by a flat rope. They had no Davy Lamp but fortunately no accidents had been recorded at the pit for two years. At that time Barber and Walker owned 12 shafts employing a total of 101 children under the age of 13. 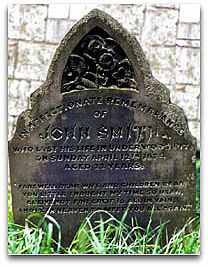 Philip's Great Grandfather, John Smith, died at the age of 22 on 12th September 1874 trying to rescue the pit ponies during a pit fire. Due to the Industrial Revolution, demand for coal was high and in the mid 1850s a railway line was laid to Pinxton, with horse drawn trams hauling coal to the booming markets, with a steam powered line following later. During the past century all the pits closed as the coal became uneconomic to mine. More recently, there has been opencasting in the area, with unwelcome damage to the environment and there are still areas under threat from this. The first of the deep mines was High Park, sunk in 1854. New London Colliery was on the outskirts of Newthorpe and closed in 1937. Newthorpe Colliery was on Chewton Street and was known as Throttleha'penny Pit. Daykin Colliery was on Wellington Place in Eastwood between two rows of houses called Daykins Row. From here a rail line crossed Nottingham Road and headed down the hill by the Moon and Stars to the Nottingham Canal. Still visible today by the Moon and Stars are traces of the raised tramway embankment. Moorgreen Colliery, on Engine Lane, close to the reservoir. The pit was established in 1865 and closed in 1985, the last in the area to do so. Originally it had two thirteen foot diameter shafts 286 yards deep, one to work bright coal (Deep Soft) and one to work hard coal (Deep Hard). It was owned by Barber Walker and Co. and was their largest venture. It was also the first colliery to have an underground haulage system installed. 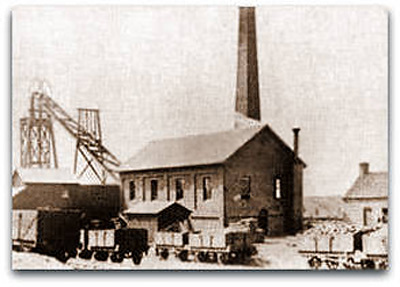 In 1871 coal production commenced, Robert Harrison was the General Manager. In 1880 a fire destroyed the headstock and winding rope of the upshaft which temporarily halted production. In 1907 an electric plant was installed at Moor Green to supply power to all of the Eastwood Collieries. In 1963 production reached 1,000,000 tons but a gradual reduction in manpower and production continued, until in 1981 the 1,225 men at Moorgreen were only producing 700,000 tonnes of coal from the Blackshale Seam, even at this reduced capacity Moorgreen's output was still roughly equivalent to the total 1890's production from all the Barber and Walker pits put together. By 1985 the seams were exhausted and the pit closed. It is now an industrial estate and country park. Brinsley Colliery was originally 450 feet (137m) deep but by the 1870s the good quality 'top hard' coal had been almost exhausted and a second shaft was sunk in 1872 to a depth of 780 feet (238m). The 'tandem' headstocks, were erected at this time. Each cage was suspended from a steel cable and held six men. The cable passed over the winding wheels to the drum of a steam winding engine. The beams were made of wood. It was here that D H Lawrence's father worked. At its peak of production the colliery produced around 500 tons of coal a day and employed 361 men, 282 of whom worked at the coal faces. By 1930 coal reserves had been exhausted but hte shafts were kept open until 1970 for access to neighbouring pits. The headstocks stand on the original site in Brinsley. The site has now been landscaped and turned into a picnic area. (See photo above). 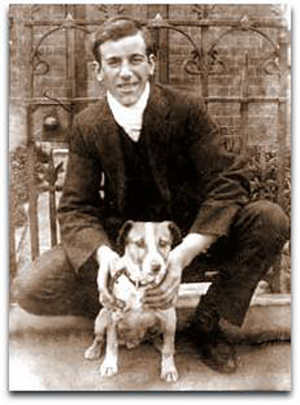 Plumptre Colliery (named after the Rev'd HW Plumptre, Eastwood) stood between Eastwood Hall and Brinsley Colliery. It was closed in 1912. Watnall Colliery Watnall Colliery was the largest of the coal mines in Watnall and was the last to close in 1950. The colliery was sunk in 1873 and had an associated brickworks, now also closed The distinctive four chimneys of Watnall Brickworks still remain as a local landmark. 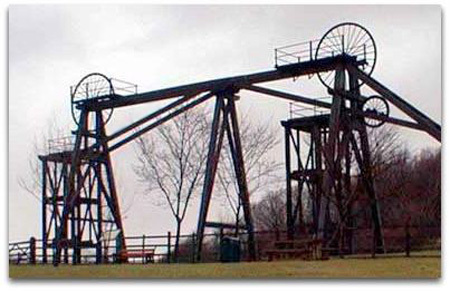 Lodge Colliery was at Giltbrook and was known by all as 'Billy Halls Pit'. What a dreadful coalmine this was, none had a good name far it, but it was a job and people must have been glad to have one, mind you, I think a lot of a men's poor wages were spent in the pub, they had to get rid of the coal dust somehow and drown their sorrows. Where once it paid father and son. Was hard since the pit began. Up Bridge Street to their front door. With pit boots they walked from the tomb. Saying, "Billy Hall's pit is dead"
Before being Nationalised the mines in Eastwood were originally owned by the Barber and Walker families. The National Coal Board's regional offices were at Eastwood Hall, formerly the home of the Walker family and built in 1810. Eastwood Hall is currently undergoing renovation and will shortly re-open as a conference centre. Opposite Eastwood Hall, Durban House, recently renovated and is now a local museum and cafe/restaurant. Opening times April to October 10:00 - 5:00 and from November to March 10:00 to 4:00. It was used by Barber, Walker and Co. as offices for the mines. The Barber family lived at Lamb Close House in Moorgreen. It was not unusual for mine owners to create their own large estates in this manner. Known as 'The Buildings' or 'The Squares', these houses were built as accommodation for the miners, Rosie's mum, Lottie Flint, lived there until she married. 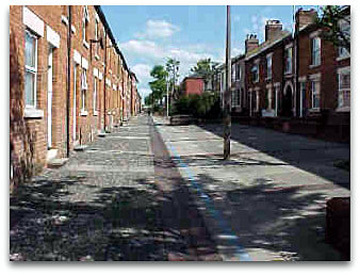 The houses were built around the 1850s by the Barber Walker company along with further miners dwellings on The Breach and Engine Lane, near Moorgreen Colliery. These houses represented a great improvement on the previous one room thatched miner's cottages.